At Home: Mix powdered egg and milk. 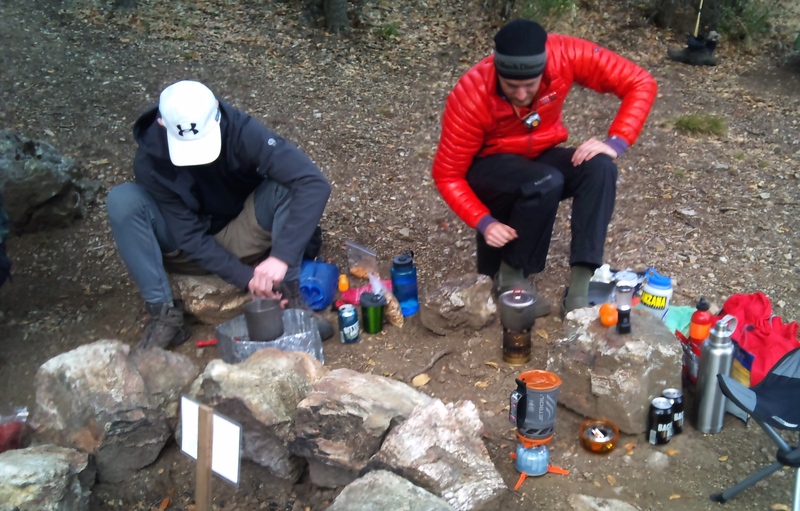 In the backcountry: Boil water and add to hash-browns. Set aside to hydrate. Slice/shred cheese and set aside. Add water and mix eggs and milk. Once hydrated, add hash-browns to hot, oiled frying pan. Cook until lightly browned. Add egg and bacon bits. Cook eggs and season to taste. Top with cheese and hot sauce. *Note: If cooking in a pot where cooking hash-browns and eggs separately may be desired, I would recommend cooking the eggs first. In my experience, this is the best order for easy cleaning afterwards.